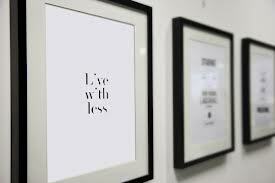 Many of us would love to minimize the amount of stuff we have in our lives, but don’t really know where to start. The culling process can, for some, be scary and for others, downright unimaginable. For people that fall into this category, we’ve compiled our favorite suggestions for minimizing your stuff. 1) 365 Items in 365 Days: If getting rid of a lot of stuff all at once gives you anxiety, commit to ridding your life of one item per day for a year. The item can be anything you wish it to be, but it must be donated, trashed, recycled, or gifted that day. 2) Expired Items: It’s very likely that you have medicine, beauty products, and food items in your home that are past their expiration dates. Throwing these items out is usually easy for most people, so it’s a great way to get into the spirit of culling. 3) One Item In, One Item Out: Although it won’t lessen your current possessions, committing to the goal of one item out for every item that comes into your home is a great way to maintain the current collection size. 4) Buy Multi-Purpose Products: Instead of buying many single-use products, choose products that have multiple functions. For example, you can save 3 products by buying a makeup with moisturizer, SPF, and anti-aging ingredients built in. 5) Clothing: According to statistics, we wear 20% of our clothing, 80% of the time. 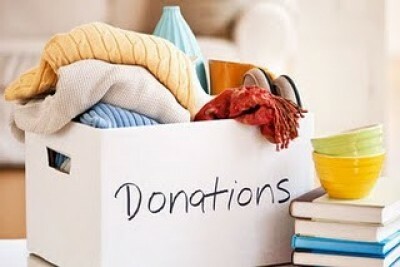 This says to us that you can donate a good portion of your clothing and not really notice the loss. Use the flip hanger technique once per season and cull the items that we’re not turned once. 6) Meal Planning: Americans often over-buy at the grocery store. Keep from committing this sin by planning your meals and grocery list before heading to the store. Do not buy anything off the list while there and you’ll notice less expired and wasted food in your kitchen over-time.) Unnecessary Buying: Have you ever gone to Target for toothpaste and come out with $200 worth of stuff? Keep the Target syndrome from happening to you, by taking into the store only the amount of cash you need to purchase the items on your list. By leaving the credit cards in the car, you’ll find you only leave with the items you absolutely needed.8) No Paper Rule: Almost all paper items in your life can be found in digital version. Bills, magazines, newspapers, coupon mailers, etc. can all be accessed online if necessary. Stop these things from entering your home by: signing up for a junk mail stop list, opting for paperless billing, reading magazines and news online, and committing to not printing unless absolutely necessary.9) Eliminate Duplicates: If you have multiples of certain items, donate, trash, or recycle them as an easy way to minimize the amount of stuff in your life. An common example of this is kitchen utensils. Often people have 3-4 of the same type of utensil, but typically only use their favorite. Get rid of the extras and you won’t even notice their gone.10) Examine the Excesses: Once per year, examine the things you have and decide what is really necessary. For example, if you pay for a gym membership, but have been once in the past few months, it’s not the best use of your finances. If your children have moved out and there are now just two people living in a 5 bedroom house, it could be time to downsize. If you pay for the premium movie channels in your cable package, but rarely watch them, shut them off and pocket the difference each month. We hope that these ideas have given you some inspiration for how you can live with less while not sacrificing in terms of lifestyle and happiness. We are often asked what’s the best way to get rid of things being culled from the home. While some of the decision is personal preference, there are certain items that are best suited for specific removal strategies. Below we discuss the various options, along with the pros and cons of each. Clothing Consignment Stores: Although it would be great if everyone could make money off of their excess clothing by consigning, the reality is these stores are extremely picky with what they take. The types of items that are best suited for consignment are new or like-new, in good condition, nicer brands, and most importantly, in-season. If you have winter clothes that you are looking to cull from your closet in the summer, this is not the place to take them. A tip we recently heard for successful consignment is to only do one trip per season. This way you can more easily track y our sales and store time limits. Specialty Stores: Places like Once Upon A Child are excellent options for donating specialty items such as baby products. They will pay you on the spot for your wares and you can feel good about passing along the things your family no longer uses. Play It Again Sports is also an excellent option for offloading old sports gear. Donation Shops: GoodWill, Salvation Army, and other donation shops will take just about everything you’d like to give them. Although there is no cash payout, the tax deduction can be helpful. Ebay: This site is most effective for items of slightly higher value that are new or in good condition. Managing the process can be tedious and learning the strategies of becoming a good seller can also be a challenge. However, there is excellent money to be made off of certain types of items. Garage Sale: Yard sales are best conducted when there is a large amount of stuff to sell all at once. The process requires significant preparation and organization, but it is a good way to offload a variety of items. Keep in mind that prices should reflect severe discounts as your shoppers will expect to see bargains. For more garage sale tips, check out our past post. Estate Sale: This type of sale is most appropriate for households will extensive collections of valuables. Most often they are conducted by professional estate sale planners who manage the pricing, sale, and delivery of purchased goods to the buyers. Estate sales are most common following the passing of loved ones, but they can also be great options for downsizing and long-distance relocations. Craigslist & Freecycle: Craigslist.org offers the ability to sell or give away anything you could possibly imagine. Increase your sale odds by being descriptive in your posting and including photos. If possible, get original manufacturer information from other online sources and include in your ad for increased legitimacy. Freecycle.org is another option for giving your belongings away for free. Recycling Center: If the stuff you are looking to remove from your home is simply not donation or sale worthy, recycling centers will gladly take the items for repurposing. In GA, the North Fulton Recycling Center accepts dropoffs of things like paint, batteries, electronics, books, clothing, ink cartridges, and most everything else you can think of. No matter what method you chose, we commend you for your efforts to minimize personal belongings.